Dental Care of Salina delivers the level of dental care and compassion they would want for their families. 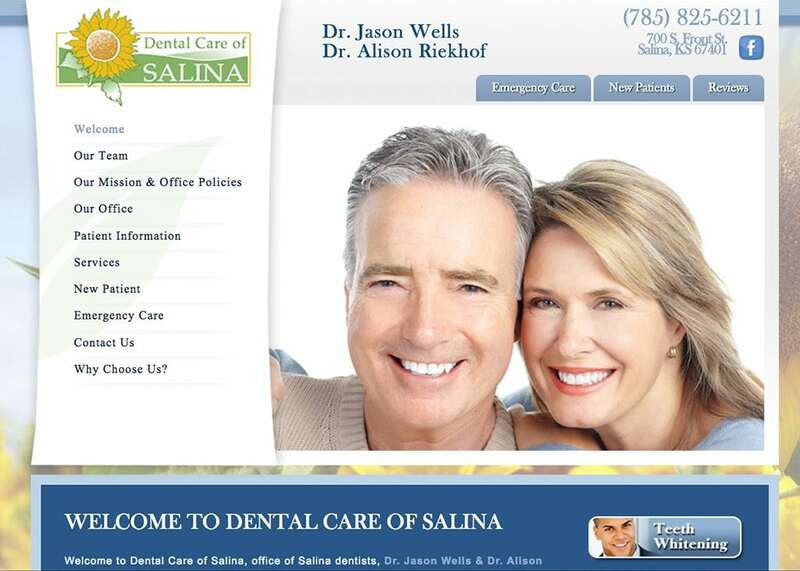 Dr. Jason Wells and Dr. Allison Riekhof are the dynamic duo’s Dental Care of Salina. They are both dedicated to taking care of their patients oral health and will provide them with the latest technology. Along with their team, they will be of any assistance to any of those who need questions answered or anything pertaining to oral health. To demonstrate the bright smiles, they leave their patients with, we have designed a dental website that showcases the welcoming environment they provide. The scenic background and easy navigated website allow users to enjoy the experience they have online and at their dental office. Features of this design are: before and after gallery, email accounts, and specialized videos.